We aim to create a safe, welcoming and caring environment, where all are respectful and work together as a community, for the children their families and the staff. We teach all to value different communities and religions and to respect and understand people’s lifestyles and background. Welcome to Perrymount. There are so many positive and wonderful things I could say about my school but upon reflection I thought, what would you as either prospective or existing parents really want to know? Firstly we are one of the smallest schools in Lewisham. To us this is very important for it means we are able to achieve that strong sense of community and care that larger schools can only dream of. Secondly the education we provide is of the highest quality. 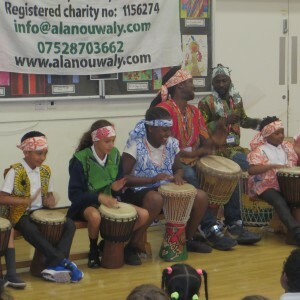 We work hard to ensure that we give our children an interesting and informative curriculum where they can excel and achieve the highest standards regardless of race, gender or disability. Lastly alongside this strong academic emphasis is our ethos. For us our ‘Values Based Education’ enables our children to develop a view of the world where the values of justice, inclusion, empathy and sensitivity have a rightful place. When you put all these points together I hope you can see that Perrymount aims to prepare your child not only for their future education but also for their future place in the world. So why not come and visit us and see all of the above in action. I look forward to meeting you and sharing my amazing school. School will be closed on Monday May 6th for May Day Bank Holiday. 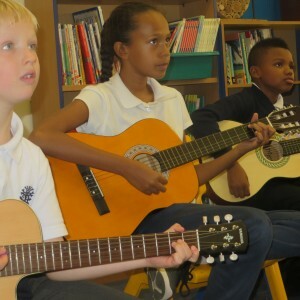 We offer a wide range of exciting afterschool clubs. These include Football, Drama, BasketBall, Film Club, French Club and Multi-Sports. Details of the clubs on offer are sent home with the children at the start of each full term and most of them are very popular. Application forms should be returned to the school office. Come and join our exciting provision of clubs! They are great fun.